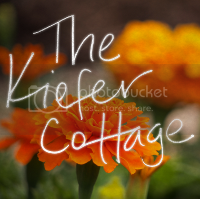 The Kiefer Cottage: Blog Hop! You might have noticed a new "follow" tool over on the right. Well, the old tool won't work pretty soon for any wordpress blogs, and there's an unconfirmed (for now) rumor that the tool will disappear for blogger users, too, so we have a new way of staying connected! 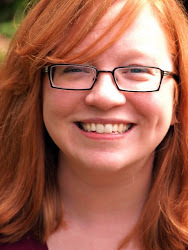 There's a Blog Hop around the webs to get folks signed up for the tool, and I figure why not? Thanks to It's So Very Cheri for posting excellent instructions on how to participate and hosting the party. You are too funny you mini van driving mama! Glad to have found you thru Cheri's blog hop! New Linky Follower! Hope you pop on over soon. Found you via the linky hop and I have become your newest follower. Hope you get a chance to visit at and follow me back. I am now following via LF...hope you get a chance to stop by My Road to Savings! I'm a follower now. Glad to see another Kansan! I believe I've gotten all of you followed so far. Thanks so much for coming by!